Does the idea of making money on your blog through marketing make you feel a bit icky? Does the word “marketing” leave a bad taste in your mouth? If so, then I think you can relate to my reader Angie a lot. I applaud Angie for not wanting to compromise her values for a quick buck. However, I couldn’t help but feel that Angie’s hangup may be due to a very common misperception of what marketing is … or should I say, what good marketing is. 1. Put your readers first. Always. 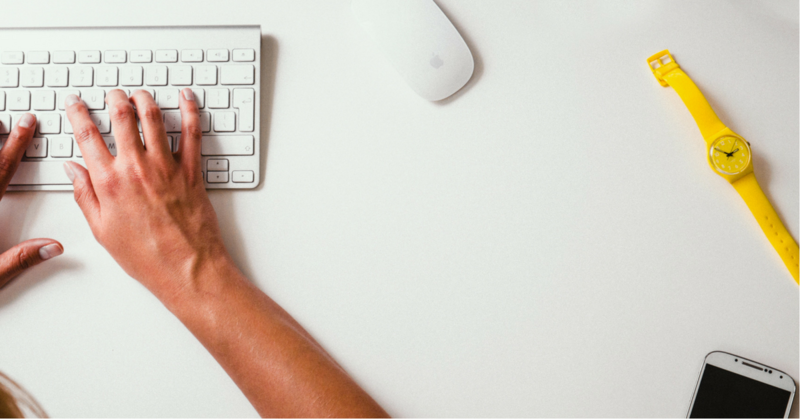 Yes, professional blogging is a form of digital marketing. In order to make a living blogging, there is a certain amount of marketing that is involved. However, I think the issue isn’t with marketing itself but with the perception of what marketing is. Pretty much everyone has a skewed picture of what marketing is because we’ve all experienced bad marketing. In blogging, marketing, in its essence, is promoting products, services, and other resources we believe would be good for our audiences — whether they’re our own products or someone else’s. Now, I’ve experienced a lot of bad marketing in blogging. A lot. To me, bad marketing is when a someone promotes any and all products to their audience solely for the sake of earning money, regardless of whether or not they feel it’d be a good fit for their readers. I personally have a VERY strict policy of only promoting products that I believe in, have used myself and LOVE, and that I feel would be a good fit for my audience. That said, I will absolutely NOT promote anything that doesn’t sit right with me. That doesn’t mean I won’t promote things that didn’t work well for me. It means if I feel there’s something off about the product, the company, or the offer, or if I can’t in good conscience stand behind it, I won’t share it with my audience — no matter how much I might get paid. This means I’ve turned down hundreds of thousands of dollars over the years. It means I’ve said “no” countless times. And it means I can have a clear conscience. Because my readers are always a priority. My audience always comes before a paycheck. Always. But that said, marketing itself can be an extremely helpful way to reach people and share resources that your audience wouldn’t otherwise know about. And in doing so, I feel it is absolutely okay to be compensated for your efforts in sharing someone else’s products and services or your own products or services with your audience. This could be through sponsorship, brand partnerships, or affiliate marketing. If your answer is no, then you shouldn’t promote it. If your answer is yes, then it’s a good chance someone out there in your audience will benefit greatly from it! 2. Set your personal boundaries. When it comes to blogging and values, I understand how hard it can be to define your personal boundaries. 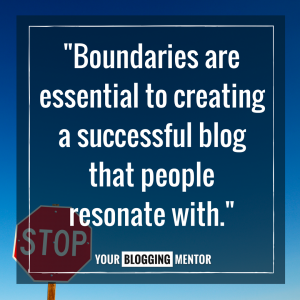 Boundaries are essential to creating a successful blog that people resonate with. Your values exude your passion, and passion is necessary for creating a long-term successful blog. If you’re struggling with understanding where digital marketing fits in with your own personal values, define your boundaries clearly. Jot down a few boundaries for yourself with regard to what you will and won’t promote on your blog. What are some topics you won’t touch with a ten-foot pole? What are some products or types of products you wouldn’t feel comfortable promoting? For me, that looks like not promoting credit card offers or mortgage companies. Not because I think that credit cards or mortgages are evil, but just because I personally don’t use credit cards and we are advocates of being debt-free, so for me to promote credit cards and mortgages wouldn’t be in line with my values and those values I encourage on my blog. Once you set your boundaries, you may want to re-visit it from time to time as you continue to redefine your marketing strategy. 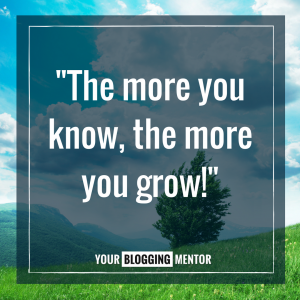 After all, the more you know, the more you grow! Case in point, I ended up trying Stitch Fix again and found it to be a MUCH better experience than the first time. And again, my audience was SO grateful that I told them about it! This is a great example of a marketing strategy that I always recommend: letting your audience tell you what they want and need. I would’ve never even thought to do another post about Stitch Fix if it weren’t for my audience letting me know their thoughts! Since one of my personal blogging boundaries is to only post things I feel would be a good fit for my audience, I decided it was a valuable post that my readers would benefit from. And it definitely was! So decide your personal boundaries and always put people before profit. If you do that, your audience will love you for it, they will trust what you have to say, and you’ll serve your audience in a way that will benefit them and spark more joy for you. This is such a great post! I totally agree with everything you said. It is possible to ethically promote products without compromising your values. Ironically, my blogging niche actually has to do with marketing credit cards, ha! But I love credit card rewards and strongly believe that they can open doors to deeply discounted travel (when used responsibly). That said, I absolutely understand why you feel more comfortable paying cash. This is one of the best articles I’ve read on the whole topic of blog marketing. Ultimately, what many folks fail to understand is that blogging is real business and as business owners, we deserve to get compensated for our work. The goal is to find a win-win product that helps readers first and foremost. They really answers so many of my questions on blogging monetization. I signed up for your blog coaching class after reading this excellent post. I’ve worked hard to monetize my blog, but only 3 items have sold in 7 months. I’m using several different affiliates, and I look for a variety of products that I believe will be helpful to my readers. I’m also careful not to promote anything that I wouldn’t buy myself. But my readers just aren’t interested in buying anything. Obviously, I’m doing something wrong! I’m excited to draw upon your expertise during the class and learn the right way to incorporate affiliate marketing into my blog. I’m so glad that you’re joining us for the Blog Coaching! You’ve written on something that I think about a lot. Not wanting to come across as a typical Internet marketing type is something I am always concerned about. As you say, it will come down to your personal boundaries. To actually make (decent) money, then some marketing is unavoidable. But, so many people push questionable products in an effort to monetize. I just don’t see how that can work out long-term. Thanks for bringing the subject up. Thank you for this post, Crystal.These are just a few of the reasons I struggle with monetizing my blog: I don’t have any extra money to spend and I know there are many SAHM who are also trying to save money. I don’t want people to go into debt because of a product I am promoting/selling. I don’t want people to think that I am blogging just for the money. My priority is always my readers and I always want them to know that.